Richard Hornby, who fought Parkinson’s disease for many years, passed away peacefully just after midnight on Feb. 11, 2018 due to a brain hemorrhage. He had a sweet half-smile on his face to the end. His wife Carol Fisher Sorgenfrei was with him. He was 79. Richard was born Oct. 25, 1938 in Paterson, New Jersey, to Herbert and Roma Berry Hornby. While a math major at MIT, he discovered his true love and calling: the theatre. His “Damascus Moment” came when he literally turned back enroute to a job interview for the Man in the Moon program. He later said, “Neil Armstrong was going to have to make his giant step for mankind without me.” Richard went on to earn a PhD in Theatre at Tulane, becoming one of a group of young innovators called “The Tulane Mafia” who helped transform American university theatre education. 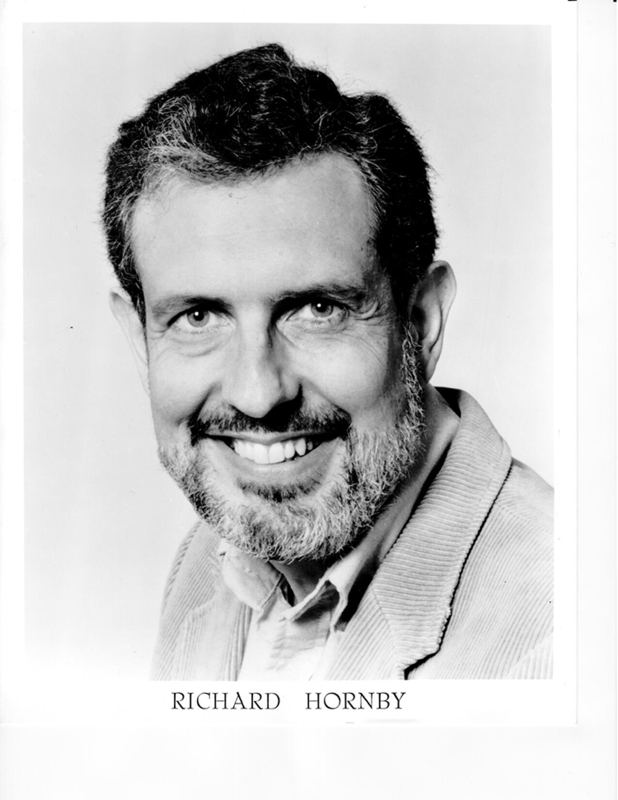 Richard was an accomplished actor, director, theatre critic and teacher who taught at universities in Canada and the USA for 50 years, most recently at UC Riverside, where he also served for a time as Chair of the Theatre Department. For over 30 years -- not stopping until 2016 -- he wrote four yearly “Theatre Chronicles” for New York’s prestigious Hudson Review. He was the author of 5 books: The End of Acting; Script into Performance; Patterns in Ibsen’s Middle Plays; Drama, Metadrama and Perception (also translated into Korean);and Mad About Theatre. If you asked Richard about any play, chances are he’d either acted in it, directed it, or had seen the original production. As a young man, he performed with Faye Dunaway. He loved to tell stories about the theatre, and he loved jokes. Listening to Mozart, Beethoven, Gershwin, jazz and Broadway show tunes was a life-long pleasure. Richard was fascinated by history (especially WWII and American history) and devoured biographies. He was passionate about chess (his online name was “Machiavel”) and loved bridge, crime thrillers (especially Lee Child and Michael Connolly), Downton Abbey, Singin’ in the Rain, Antiques Roadshow, House of Cards, Law and Order: SVU and watching golf. Richard and Carol were together for 26 years, and married in 2013. They traveled extensively, searching out great theatre, great friends, great food, great art and architecture, and the wonders of the world. Some of their favorite places include New York, London, Edinburgh, Paris, Berlin, Kyoto, Bali, Venice and Santorini. One of their greatest pleasures was hosting dinners for dear friends in their Claremont home. In addition to his wife Carol, Richard leaves behind (by his first marriage) his son Steven and daughter Sarah, brother David and sister-in-law Mary, niece Christina O’Gara (Terry), nephew Mark (Brittany), great-niece Leigh and countless students, colleagues and friends. A jazz funeral/commemoration of his life was held February 17, 2018. His ashes are interred in Oak Park Cemetery, Claremont, California.